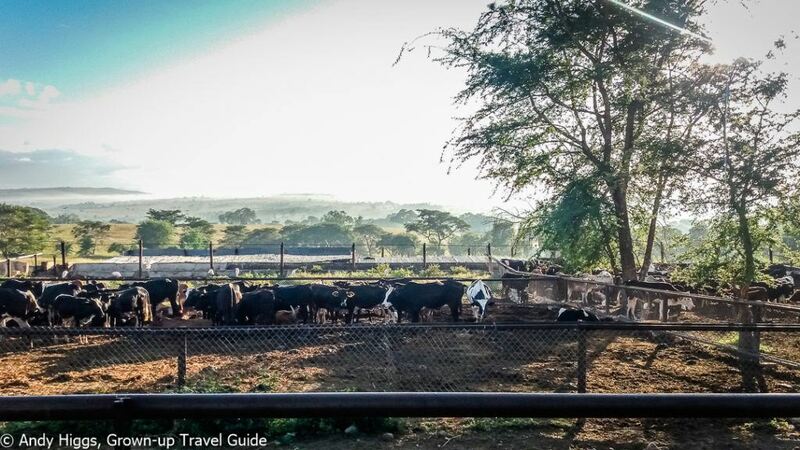 Posted on November 21, 2018 by Andy Higgs in Africa, Home, Malawi, Places, Stay. Getting there: The drive from Lilongwe usually takes about 20 minutes. 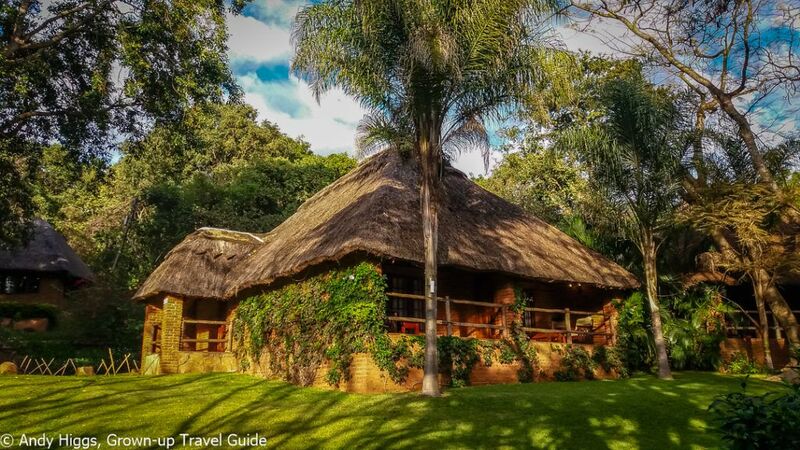 Kumbali Country Lodge is about 8 km east of Lilongwe city centre past State House and situated on a 650 hectare forest reserve and dairy farm. I went for a run a couple of times and can vouch for the beauty of the landscape in the surrounding area too. 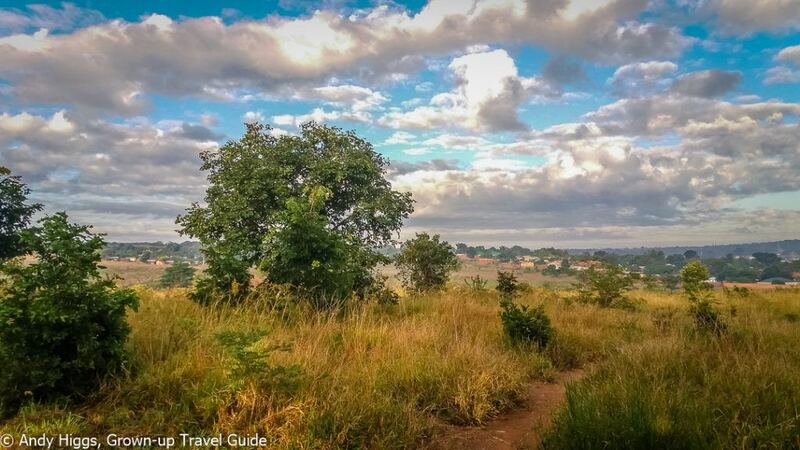 It feels like you are staying deep in rural Malawi, and yet the capital city is within easy reach – which is a great combination and a fine was to start or finish a trip to the warm heart of Africa. 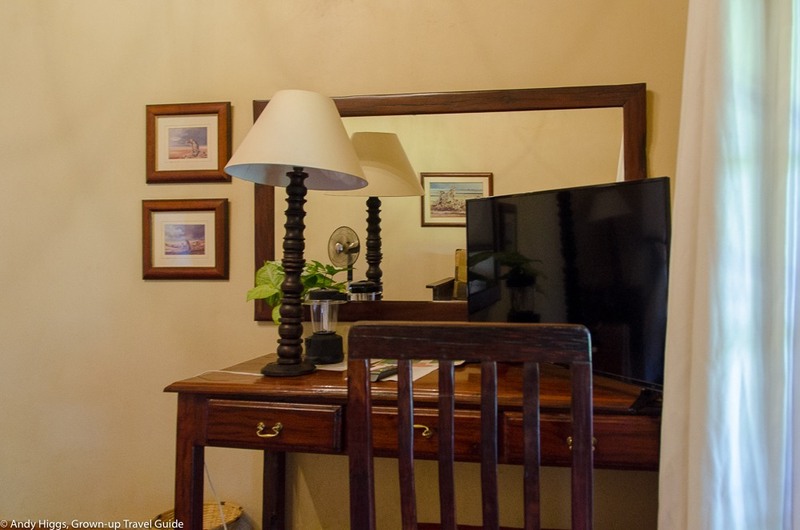 The 16 rooms are divided into 14 Executive and 2 Deluxe – I am not actually sure what the difference is between them but assume that the Deluxe are a little larger as they attract a slight premium in price. I will update this when I find out the details. The Deluxe rooms are noted as having a fridge, and since my room had one I am again assuming that I was accommodated in a Deluxe for my three nights. The thatched chalet is divided into two rooms, each with a private entrance – mine was on this side in the photo above, my neighbour accessed his/her room from the other side. The dark, heavy furniture so popular throughout Africa was much in evidence here too; but the light walls and high ceiling brightened things considerably. The cool, tiled floor was welcome and a ceiling fan is always going to beat air conditioning for this traveller. An extra standing fan was provided for hotter days. It seems hard to imagine that any visitor would want to watch television, but hey, stranger things do happen. If you cannot get by without it, 9 satellite channels are available. 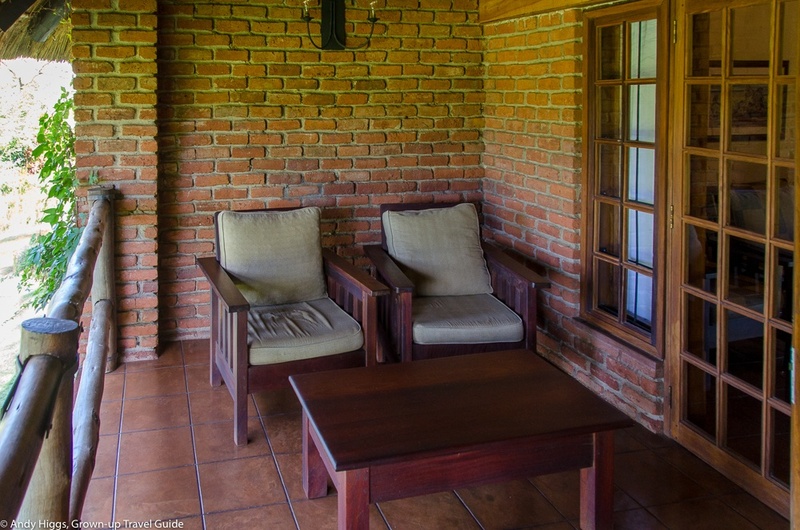 …this is a great place to relax with a book or watch birds in the lodge grounds. The gardens are beautifully kept and perfect for aimless wandering before the heat of the day kicks in. There was a large double wardrobe in the hall just by the entrance to the bathroom and plenty of storage space in general. 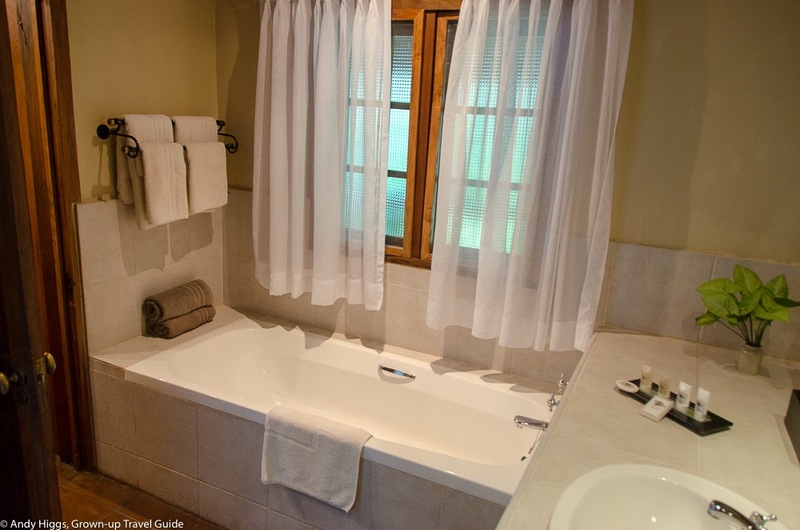 It was a treat to have a full-size bathtub as well as a shower, and the bathroom was large and well-designed. 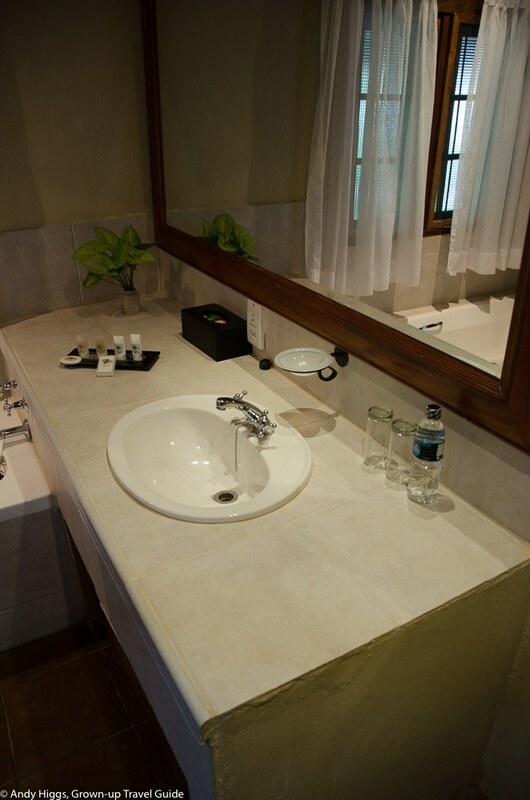 Bottled water is provided as it is not advisable to drink from the tap. It is unlikely to be dangerous but does not taste great. 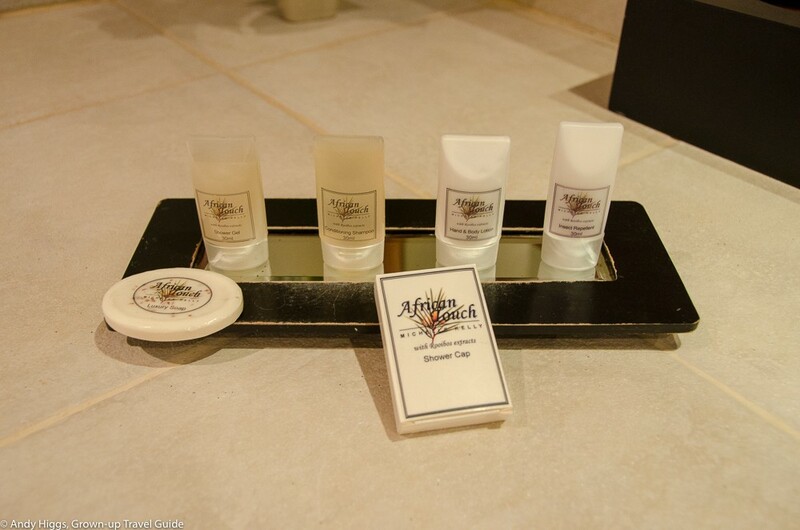 A full range of bathroom ameneties are provided, including insect repellant which is a useful touch. The water pressure in the shower was excellent and the large shower cabinet well designed so that no leaks ensued. Regular readers will know that flooded hotel bathroom floors are a pet peeve of mine so full marks to Kumbali for getting the basics right here. The food at Kumbali Country Lodge was excellent, with most ingredients sourced right from the farm itself. Breakfast options include a continental breakfast buffet (seasonal fruit salad, cereal, yoghurt made from the farm on site, freshly made pastries) and cooked breakfast to order (eggs, sausages, bacon, vegetarian). 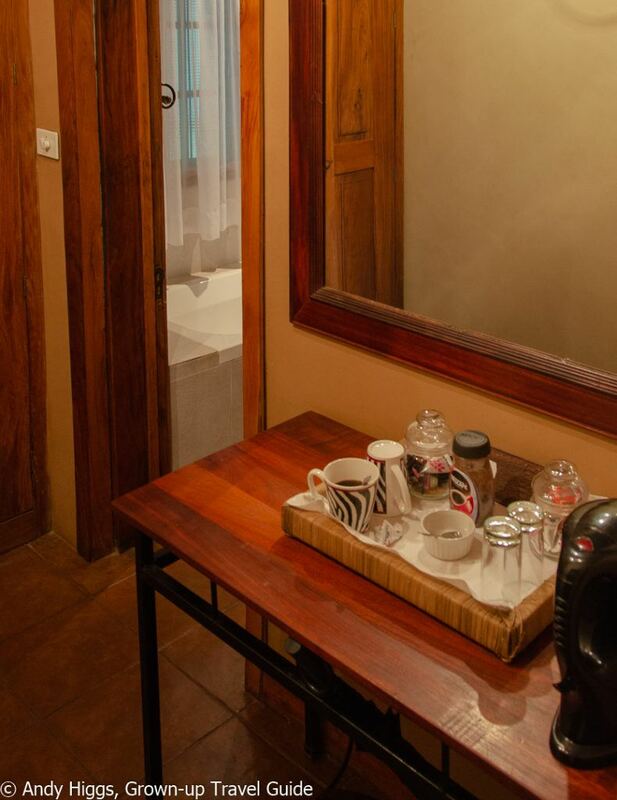 And don’t forget to try some freshly brewed, Malawian-grown tea and coffee while you are here. Lunch is cooked fresh to order from a comprehensive a la carte menu with a wide variety of dishes such as home made sandwiches and soups, locally grown, organic fruit and vegetables from the permaculture centre and home made mayonnaise and salad dressings. Be sure to place your order in good time as meals are made from scratch. Dinner is available a la carte or as a 3 course buffet, depending on the number of guests staying at the lodge. A sample menu could include butternut, feta and sage soup, kale and chorizo Portuguese broth, Oriental fish-cakes and Asian salad with sweet chili dressing, bubuganush, olives, fete cheese & humus. Hold on, because that was just the starters. Main courses, served with 3 vegetable side dishes and a choice of kilombero rice or a potato dish and salad, include Beef Wellington, roast pork, lamb and beef, almond fish (hake) and beef and beer pie. Then how about sticky toffee pudding with cream, milk tart or banoffee pie to finish? If you really want to push the boat out, you can round it all off with a fine single malt whisky or perhaps a cognac and cigar? As you will have gathered by now, Kumbali takes dining very seriously and it is no surprise that many non-residents come here for a meal. Prices are very reasonable given the very high quality, too. Top of the list is probably relaxing, but if you feel the urge to do more a number of options are available. Kumbali has an inviting pool and gluttons for punishment will find a fitness room too, ideal for working off that dessert you probably shouldn’t have had. As well as exploring the grounds, forest and surrounding area, you can ask for a tour of the working dairy farm. 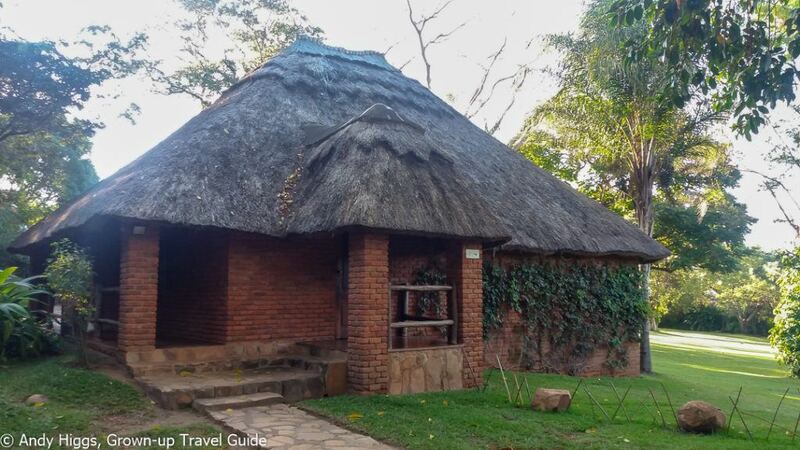 Visit nearby Kumbali Cultural Village to experience life in a traditional Malawian village, including local food, dancing, singing, drumming and other arts and crafts. Pop in to Nature’s Gift Permaculture Centre to learn more about low cost, practical solutions to help promote more sustainable food production. 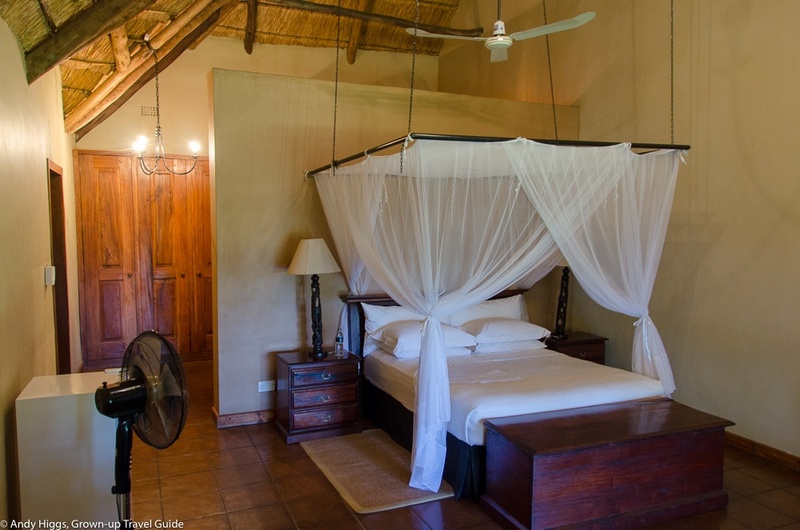 The twitchers among you will find Kumbali Country Lodge a birdwatcher’s treat. The forest reserve provides a natural habitat to many different of species of birds, some of which are very rare elsewhere in Malawi. A last point here – one of the highlights of a stay at Kumbali is meeting the family that owns and runs the place. First of all, they have a great backstory – “hailing originally from South Africa, Guy and Maureen Pickering emigrated to Malawi in 1991 with their young children John and Jes. While Guy worked in the tobacco industry, Maureen started Nature’s Gift Dairy producing yoghurt, cheese, and fruit juice. In 1998 they found themselves looking for a new farm and put in the successful bid for Capital Hill Dairy. Now Guy is quite something. Larger-than-life and an absolute blast to spend time with, his tales of life in Africa will be one of the highlights of your stay at Kumbali Country Lodge. Communications: WiFi is free for guests but a voucher is required which can be obtained from reception. Mobile coverage throughout the lodge grounds. Water supply notes: Bottled water is provided and recommended. The location, the service, the food, the pool, the gardens and the owners. I had no issue with it but I guess the bumpy road in for the last few kilometres could be a bit rough for some guests. But hey, this is Africa and it’s great to pass through authentic villages on the way to or from town. 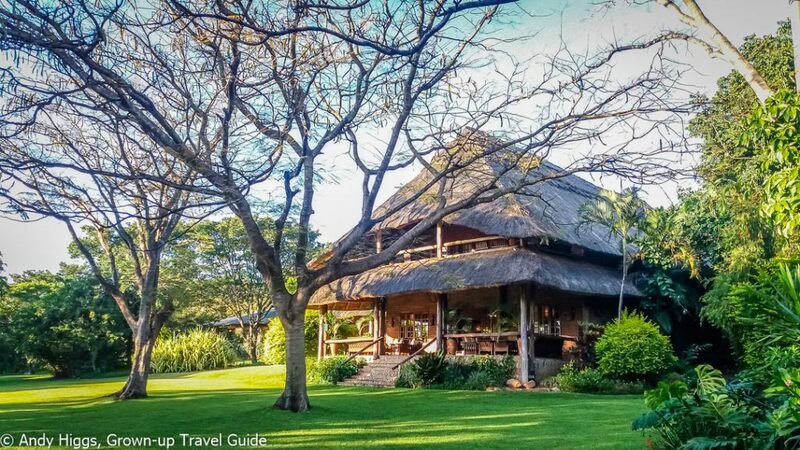 We love Kumbali Country Lodge and are sure you will too – it appears in Malawian itineraries from The Grown-up Travel Company for a reason. Several, in fact. 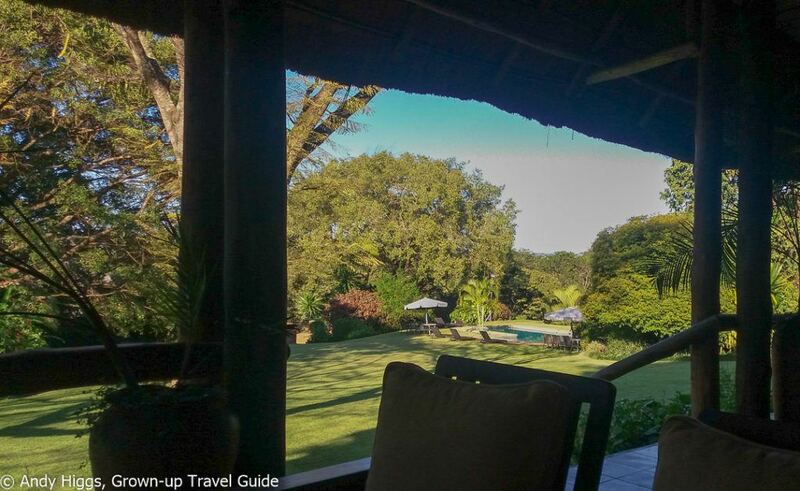 If you are looking for a peaceful, relaxing and extremely comfortable place to stay in Lilongwe you can do a lot worse than follow Madonna’s lead and stay here. 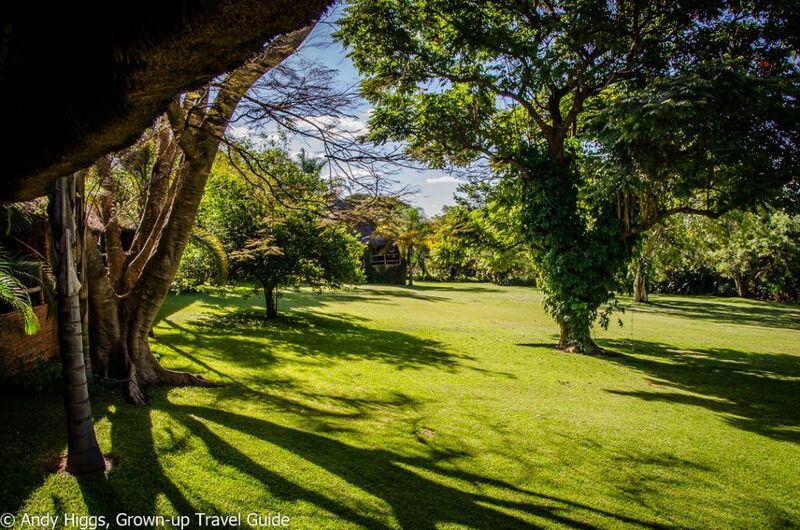 There are more centrally-located hotels in the Malawian capital but none have the atmosphere of this one, and it really is not a problem to get in and out of the city when you want to explore.